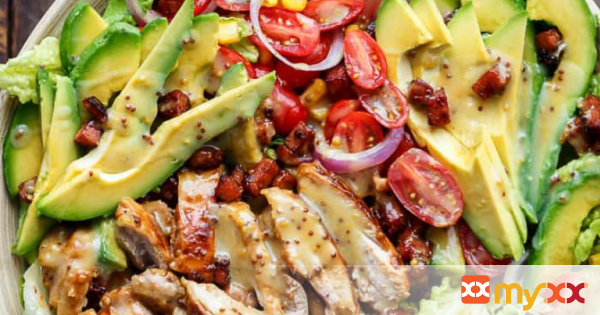 Honey Mustard Chicken, Avocado + Bacon Salad, with a crazy good Honey Mustard dressing withOUT mayonnaise or yogurt! You may use chicken thighs or breasts for this recipe. Also, if time allows, let chicken marinate for 2 hours.